What are the implications of recent surveillance revelations for Drupal site owners? What can and should Drupal site builders and developers be doing to protect user privacy? To find out, I spoke with analysts and developers both within and outside the Drupal community. That’s the frank assessment of Chris Parsons, a postdoctoral fellow at The Citizen Lab at the University of Toronto’s Munk School of Global Affairs. Parsons’ current research focus is on state access to telecommunications data, through both overt mechanisms and signals intelligence – covert surveillance. The intersection of privacy protection and Drupal programming is a daily concern for Mark Burdett, senior web developer at Electronic Frontier Foundation (EFF). Burdett has been a Drupal user and contributor since 2004. These days, his efforts support EFF’s work at the leading edge of digital rights protection. The usage statistics on Drupal.org show that over 300,000 Drupal sites – close to a third of all reporting sites – are running the Google Analytics, the most used third party service. A leading alternative to Google Analytics is Piwik, an open source analytics software that you can install alongside Drupal, even on shared hosting. The Piwik Web Analytics module integrates Piwik with your Drupal site. Beyond analytics, various types of social media integrations also present concerns. But in reality, “Their whole business model is to show ads to people, and, in the course of doing that, to record as much information about people as possible, in order to show them ads most effectively.” Amassing user data isn’t incidental to the operations of the major social media corporations – it’s the whole point. One module that EFF sponsored for use on their own website is MyTube. “When we post a YouTube video in a blog, it won’t load anything from youtube.com until you click on it,” Burdett explains. It’s on a particular website that abstract concerns about user privacy and data security meet the hard realities of specific threats. To get a feel for Drupal user privacy in action, what better example than Drupal.org itself? Enter Neil Drumm, senior technologist at the Drupal Association. Drumm co-founded CivicSpace – the first Drupal shop – and went on to be a lead architect of the Drupal core update and install systems and core maintainer for Drupal 5. Today, he works with a global team to build and maintain the Drupal community’s main collaboration spaces. To meet this need, the Drupal.org team maintains custom data sanitization scripts. Before a copy of the site database is made available to developers, potentially sensitive user information is automatically removed. Beyond Drupal.org, while nondisclosure agreements and server and laptop security measures provide protections for user data, some companies are taking the extra step of introducing data sanitization into their everyday workflow – just in case. Building a web application often involves collecting and displaying potentially sensitive user data. One such use case came up in a 2010 redesign of Drupal.org, which called for an animated front page map of user contributions. Users may choose to share their location, but no data is collected without their consent. When it comes to protecting user data and interactions, both Burdett and Parsons emphasize one key toolset: secure connections. Originally designed to meet the data protection needs of e-commerce sites, secure sockets layer (SSL) or HTTPS ensures that all communications between a web browser and a server are encrypted, and so have a level of protection from prying eyes. While the Edward Snowden leaks detailed ways the NSA is working to undermine SSL, Parsons concurs that HTTPS remains an indispensable tool. He admits though, ruefully, that he has yet to enable it on his own website. Back at Drupal.org, HTTPS plays a central role in data security. It was introduced first on the Drupal Association and DrupalCon conference sites, due to the need to support credit card transactions. The plan was to extend HTTPS to the rest of the Drupal.org sites, but there were performance implications. 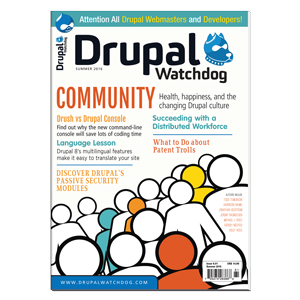 In May 2013, the Drupal.org security team and infrastructure team discovered an unauthorized access incident in which user data was compromised on Drupal.org and the Drupal groups site, groups.drupal.org. Beyond just introducing SSL, there are additional details to consider. One is the method of encryption. Burdett explains that while standard encryption uses a single key that’s used across a server, there is a newer method called forward secrecy: “[It] means that a unique key is generated for each HTTPS session.” If you run an e-commerce bookshop and receive a law enforcement subpoena relating to a particular customer, Parsons says, “You as a bookshop seller do not want to be in a situation where you’re disclosing the decryption key for every person – or every IP address, rather – that has looked at your website and what books they’ve looked at.” Forward secrecy ensures there is no single key that decrypts all users’ communications. 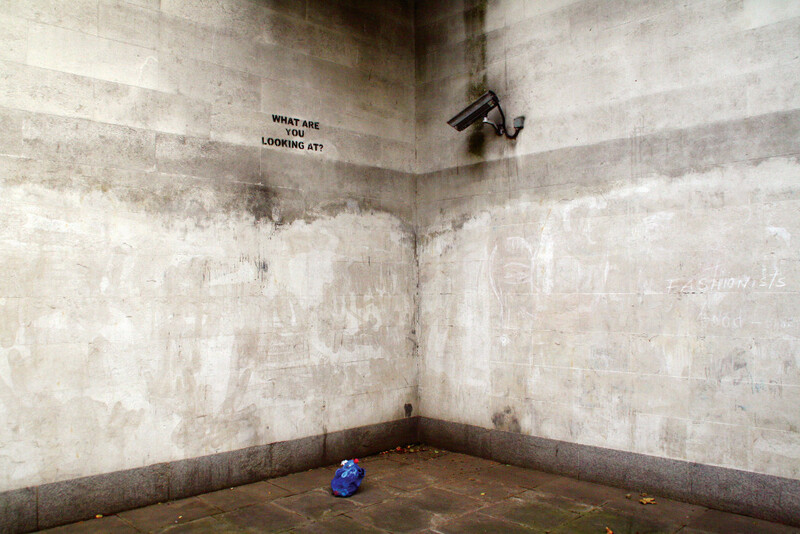 Also, if you stop short of using SSL site-wide, modules like Secure Login (which Burdett co-maintains) and HTTP Strict Transport Security provide out of the box handling to ensure that login information is protected and to prevent “man in the middle” attacks by instructing the browser to always reconnect via HTTPS. It’s a sobering thought for anyone setting up a Drupal site. But the good news is that simple practices like an information inventory, along with tools like SSL and meaningful privacy policies, can go a long way to protecting user privacy, as can thoughtful choices about what information to collect – and what not to. For Drupal.org and related sites, the Drupal Association follows a simple precept: “We don’t collect data we don’t use for something,” Drumm says. No one can steal what you don’t have in the first place. Cryptolog enhances user privacy by logging ephemeral identifiers rather than actual client IP addresses in Drupal's database tables and syslog. HTTP Strict Transport Security ensures browsers reconnect using HTTPS, avoiding “man in the middle” attacks. Secure Login enables the user login and other forms to be submitted securely via HTTPS, thus preventing passwords and other private user data from being transmitted in clear text. IP Anonymize periodically scrubs user IP addresses from the Drupal database. No Referrer enhances privacy by allowing users to avoid leaking referrer information when they click on links to external sites. Piwik Web Analytics integrates the Piwik web statistics software, which can be locally hosted and configured to collect only what data is required. Paranoia reduces the potential impact of an attacker gaining elevated permission on a Drupal site. Security Review automates testing for many of the easy-to-make mistakes that render your site insecure. Follow generates social media follow links without embeds. Mytube minimizes user tracking by embedding video only when a user clicks on a thumbnail image. Service Links minimizes user tracking by generating share links without embedding. Social Share Privacy minimizes user tracking by providing share buttons that connect to social media sites only when a user clicks them. Twitter Pull, Facebook Pull, Feeds Facebook display Twitter or Facebook updates without embeds or cookies. EU Cookie Compliance, Cookie Control notifies site users of cookie use and, optionally, requires user consent to cookie use for site access. Grounded in principles of sharing and cooperation, free software like Linux and Drupal includes built-in protections that work against external control and surveillance. The Acquia exam raises important questions: as free software users and advocates, what are our responsibilities when it comes to practising and defending software freedom – and, by extension, users’ digital rights?